The eyes are the window to the soul, however as we get older sometimes I wish we had a pair of thick curtains! From the time we hit our early thirties our aging eye becomes noticeable. Our face is made up of pockets of fat, much like a duvet, that make the shape of our face. Although we can’t change the shape of the skull we can plump up the fat in our face using fillers making us look younger. What Causes Our Eyes to Age? Aging on the face is primarily caused by the loss of fat in these various fat pads (think baby fat). Drastic weight loss can age the skin dramatically. Think of some celebrities who have lost weight whether for roles or for themselves. Matthew McConaughey had drastic weight loss for his role in Dallas Buyers Club which aged him quite a few years on his face but I’m sure it was worth the Oscar. How Noticeable is Eye Aging? The upper eyelid area is an extremely sneaky feature of aging and just a 1mm drop in the eyelids can age someone 5-10 years. Look at the pictures below which highlight this. The first picture shows a very small droop on the outside of the eyes, when compared to the lifted eyebrow next to it you can see the difference this tiny droop makes. Crows feet (which we are all aware of) are like smile lines for the eyes and are a result of thinning skin and a use of muscles. However Crows Feet are a quick fix so keep smiling. A good eye treatment involves a couple of different approaches. Everyone is different so depending on age, severity of aging, the patient’s desire for improvement and budget, the treatment can vary quite a bit! A basic rejuvenation involves botox to the sides of the eyes with an optional botox to lift the brows at the sides. Sometimes botox will also be used in between the brows to lift the centre of the eyebrows. Depending on the person’s muscles around the eyes, occasionally I will treat under the eyes and also the bunny lines (lines on the nose). The next step in eye rejuvenation involves correcting under the eyes with filler – usually 1ml of volbella under the eye. This tightens the under eye skin and also fills volume loss. Sometimes this will be done as part of a general cheek filler or lift procedure which can help with under eye volume loss. The next step is treating over the eye and eyebrow. A brow lift as mentioned in step one can be done with a little bit of botox. However often the reason for a drooping brow lies in the temple. The temple is an area that can lose a lot of volume without us really noticing. Using a little filler in this area lifts up and out on the brow and can even make the brow a little longer in appearance. Finally we can also use filler on the brow itself to replace the lost volume on the outer part of the brow! As you can see from the above there are a lot of different factors that can cause the eye to age and so each eye rejuvenation treatment is specific to your needs. An assessment is the first step to performing an eye rejuvenation and at that point we can decide how much filler we need for you and what procedures will get you the best results. 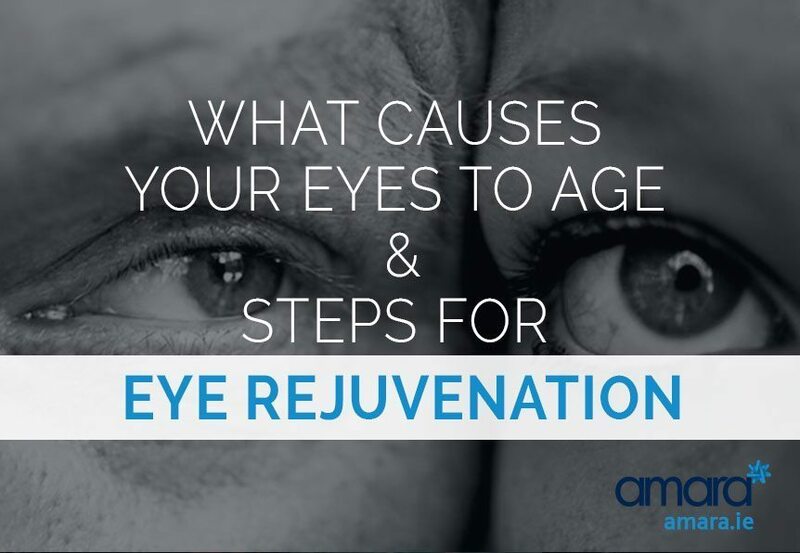 Are you interested in Eye Rejuvenation? Click here to book a consultation.